Noisette rose (Rosa noisettiana): growing, planting, caring. A group of large-flowered climber roses. This old rose was born in Charleston, South Carolina and named for Philippe Noisette, a French nurseryman of the area in the early 1800s. 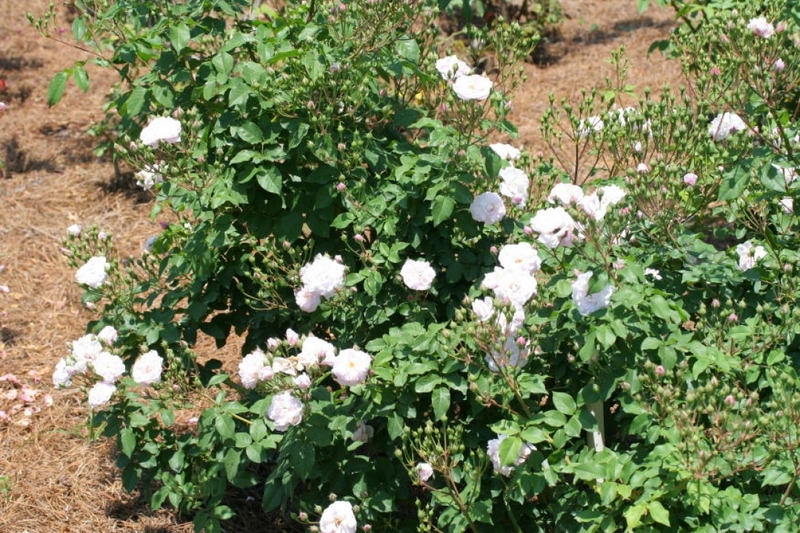 The first Noisette rose was actually raised as a hybrid seedling by a South Carolina rice planter named John Champneys, between the China rose 'Parson's Pink' and the autumn-flowering musk rose (Rosa moschata), resulting in a vigorous climbing rose producing huge clusters of small pink flowers from spring to fall. 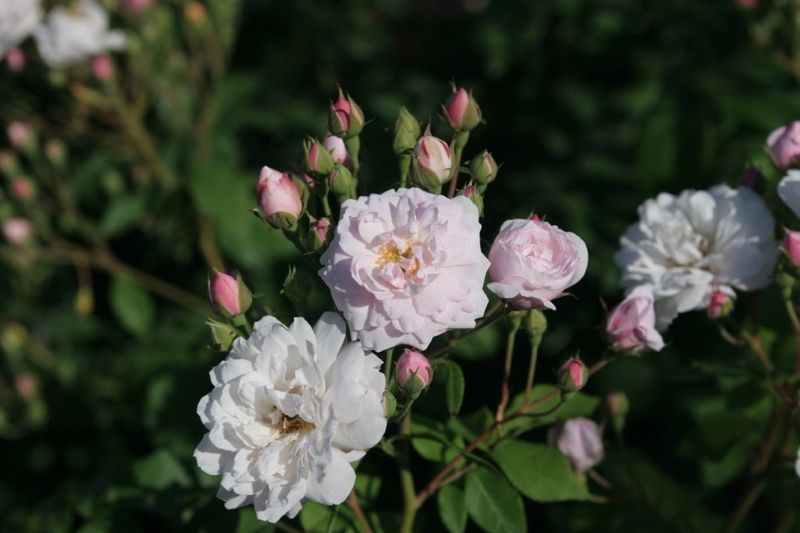 Champneys sent seedlings of his rose (called 'Champneys' Pink Cluster') to his gardening friend, Philippe Noisette, who in turn sent plants to his brother Louis in Paris, who then introduced 'Blush Noisette' in 1817. The first Noisettes were small-blossomed, fairly winter-hardy climbers, but later infusions of Tea rose genes created a Tea-Noisette subclass with larger flowers, smaller clusters, and considerably reduced winter hardiness. 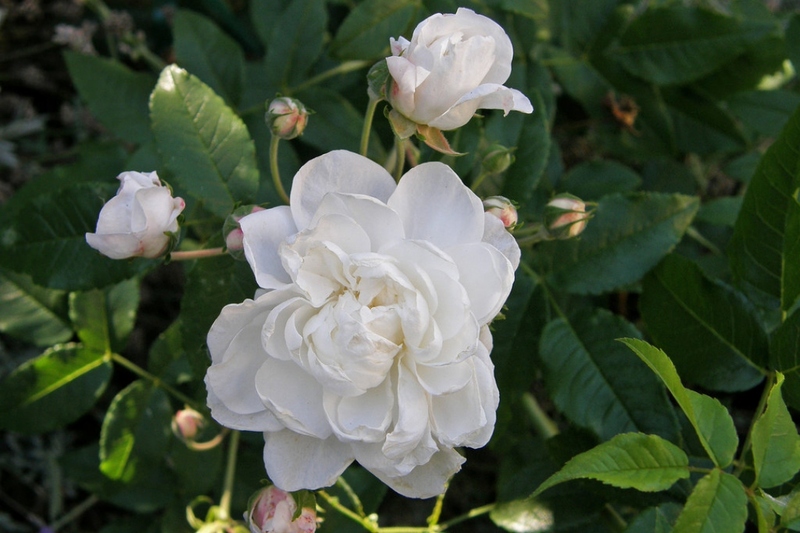 Popular cultivars include 'Blush Noisette', 'Lamarque' (Noisette), 'Mme. Alfred Carriere', and 'Marechal Niel' (Tea-Noisette).